Every single person who carries one of the variants of the red-hair gene is a "direct descendant" of the first person who had it, according to a DNA lab in Scotland that has launched a campaign to de-stigmatize being ginger. 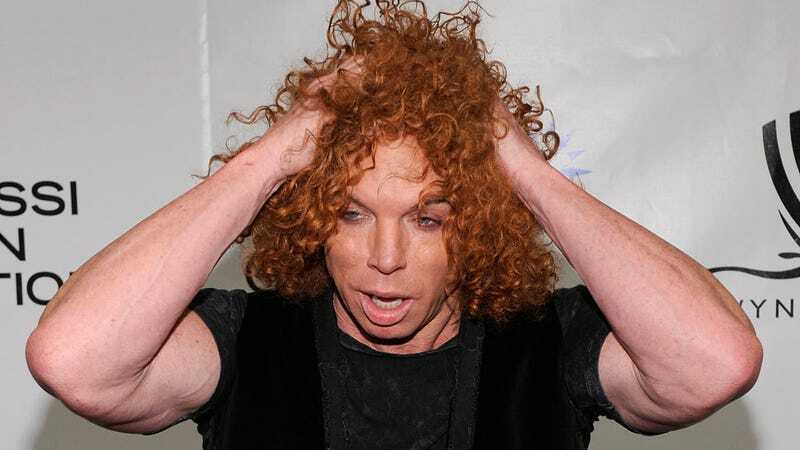 But it remains unclear how publicizing that redheads are biologically linked to Carrot Top will reduce, and not increase, the amount that they are mocked. ScotlandsDNA, a company that studies people's heritage, has developed a home testing kit that allows people to find out if they carry the gene for red hair. Because it's a recessive gene, people who don't have red hair could have children with red hair if their partner also carries the gene. (But even then, there is still only a 25 percent chance that their kid will pop out with copper top.) The company hopes that if people know that their own children might end up ginger it might bridle the teasing and bullying that redheads apparently face. According to ScotlandDNA, the red-haired gene is related to a lack of vitamin D, which is why the largest concentration of them are in Scotland and northern England, areas that are notoriously cloudy. The frequent occurrence of redheads is probably why ginger prejudice is apparently a huge problem over there than in America. (Although last week there was an internal memo in the NYPD last week regarding redhead harassment.